We’ve had a pretty big shift recently at our school. And it’s all to do with garbage. Yes, we’ve completely changed how we deal with garbage at our school. Now we call it Waste Management. When we returned to school this fall, we were aware that change was afoot. West Vancouver Municipality, like the rest of Metro Vancouver, had declared anything from plants and animals (and biodegradable) to be considered as organic waste and not garbage. 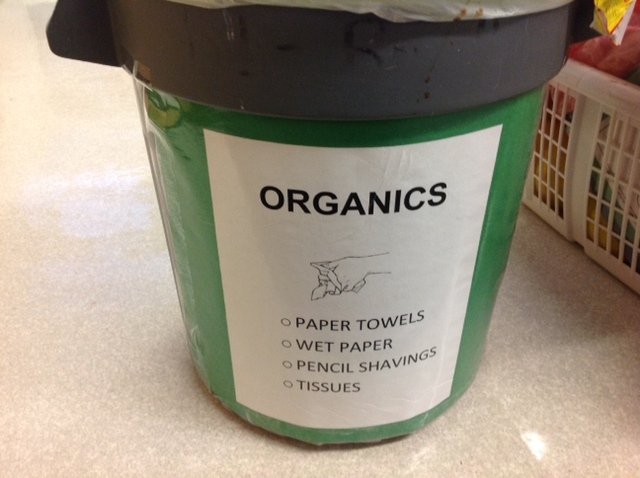 Therefore, organic waste must be separated from the regular garbage collection. 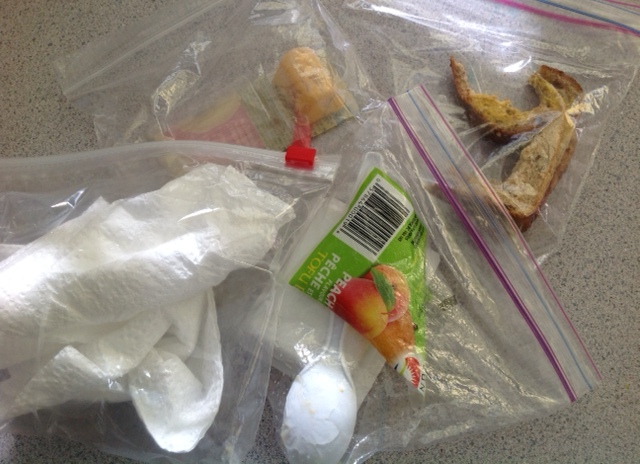 With 21 students in each of our Kindergarten classrooms, eating two to three times a day, and packaged hot lunches four times a week, we create a fair amount of waste. As experienced teachers, we know that how we start off in September is going to affect us, and our students, for the remainder of the school year. So although these changes were not going to become official until January 2015, we did not want to start routines, especially ones for an idea as big as waste management, and have to change them mid-year. There’s been some gentle tweaking here and there, but for the most part the the routines and systems we’ve establish since the fall have been our modus operandi. For more on the importance of Kindergarten classroom routines, click here. 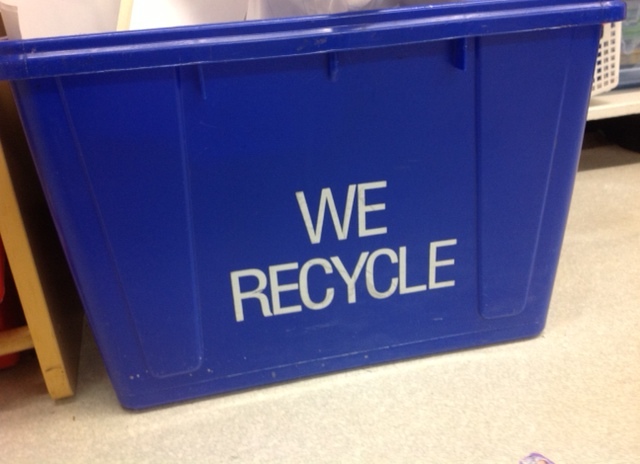 It is an expectation that our entire student body at Ridgeview, from Kindergarten to Grade 7, learn to separate organics, dry paper recyclables, and garbage/waste items at school this year. We don’t have a monitor for our Organics Garbage Can, as our children are typically checking with us first if something can go in. They are learning this routine well, developing independence and looking to the other students if they are uncertain about what to do. This has been the most challenging of all the waste management initiatives. 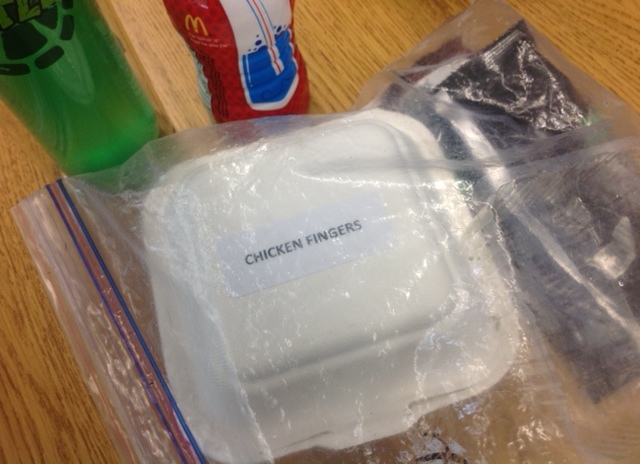 This year, students are learning that they are responsible for all food items that they bring into Ridgeview. 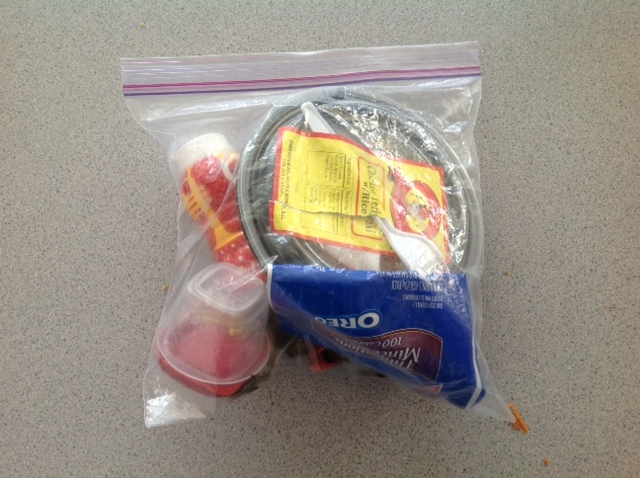 Essentially, any waste our students create from the food they’ve packed in to school (food packaging, peelings and cores, napkins, leftover food) must be packed out at the end of each school day. All waste must go home to be sorted. 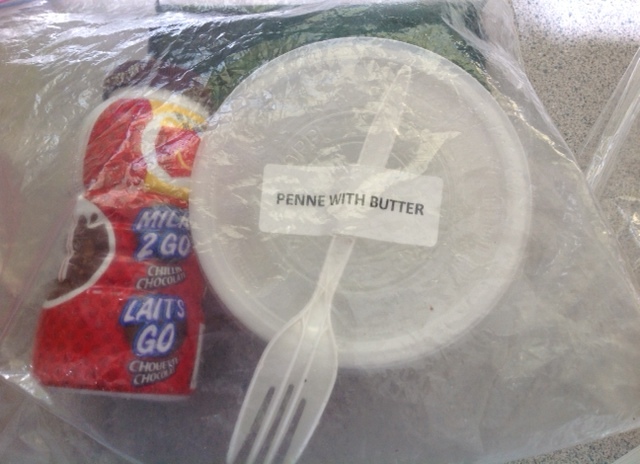 The Hot Lunch days have proven to be trickier. There is a lot of packaging associated with this program. Here’s what we’re doing for each day. Pizza Thursdays. 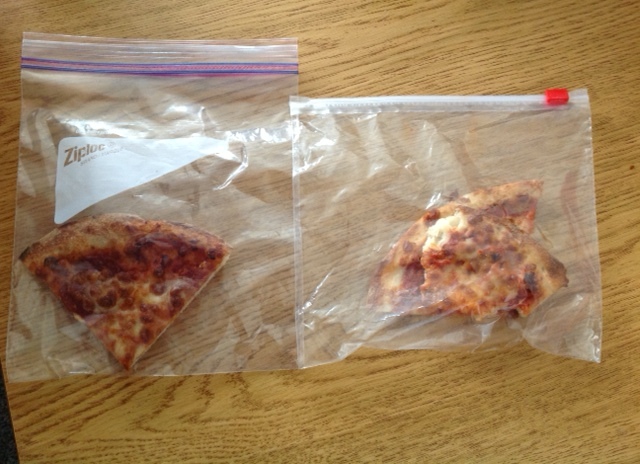 The Pizza company takes away the boxes to be recycled, and the children can take their leftovers home in their ziploc. Booster Juice Wednesdays (every second Wednesday). 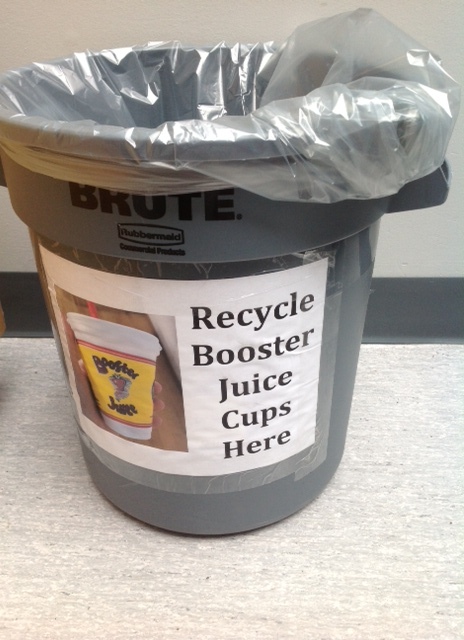 After the children have finished their drinks, the cups must be rinsed out and the cup, lid and straw are thrown into a special can designated for Booster Juice recycling. Our Grade 7 monitors help us with this task. We’re extremely proud of the Kindergarten. 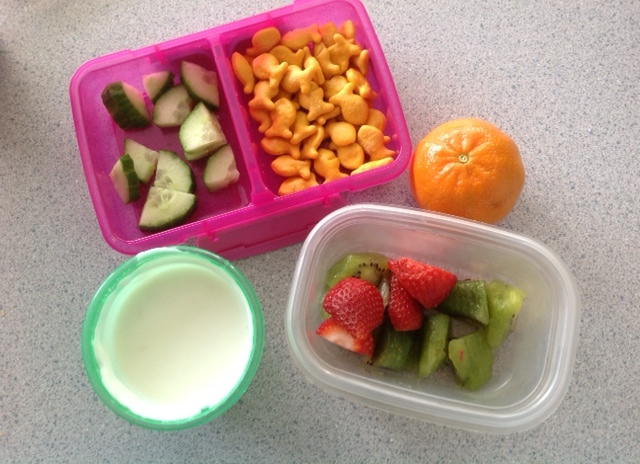 The children know these routines well; they know them as the only way to manage their food waste at school. The Kindergarten is also the only grade in the entire school which does not have to change habits of old. Change is healthy, but we all know change can be hard as well. Therefore….we won’t comment specifically on how the teaching staff is coping with food waste and sorting in the staffroom, but let’s just say that old dogs can learn new tricks….